Every (digital) innovation has two phases – the ideation phase and the realization/execution phase. 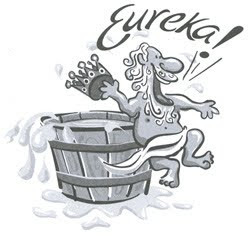 In the ideation phase, you brainstorm every single minute – even in the shower! You constantly keep thinking about how you can make things better, moving away from the thicker, slower, and expensive systems to build something sensational. Then the idea bulb lights up! Now you got something that the world never thought of. But once you come up with that great idea, you need to move with lightning speed to the realization and execution phase. Especially in the digital world, if you don’t bring your idea to life as soon as possible, someone else is close behind you with a similar concept. The smart developers have figured this out already. Almost every conference that I go to, every sales pitch that I listen to, every blog that I read – is all about how they can help you build digital applications (mobile, IoT, etc.) in a matter of hours. However, I still see a couple of very common issues with the enterprises when they try this – the first issue is that they try to bring the ideas using the current digital constraints that they already have; the second issue is that they build something quick and dirty to prove a point. But, more often than not, that approach seems to make its way into the final execution phase from the idea realization phase. As Steve McConnell once famously said, “The problem with quick and dirty, is that the dirty remains long after the quick has been forgotten.” While these faster prototyping mechanisms can help you realize your dream quicker, it is nowhere near the quality your customers can use. This is where I often see ‘app rejections’ happen. It is very often that I see companies in their hastiness build apps that are not prime-time ready. When released prematurely to the market, you fight for the mobile screen real estate. Very often your weaker application doesn’t gain much traction from the target user base. In a matter of days it is either forgotten or removed from the usable area. This is where a good combination of existing APIs and a good digital platform with some of those services already built-in can help. When you bring your bright ideas, you don’t have to build ‘everything’ from ground up on your own. You quickly assimilate your great idea with other great ideas that already exist. Often, when that 1+1 = 3 happens, not only do you build a stronger value proposition but it makes your application more desirable. This is a major reason why APIs are so popular. You take your idea and combine it with a bunch of micro-services that are already available and mature, building only a small portion as necessary to perfect your idea to get it out faster. Because you are building only small portion to bring your idea to life, you don’t have to build something quick and dirty, or you don’t need to be bogged down by your existing IT constraints. When you try to constantly adjust your idea to fit within the constraints of the current IT, it kills your innovation, instead of liberating your IT. Let us face it; in the idea phase, you won’t have all the answers. You need to experiment in many combinations with your idea – technologies, processes, data, and even the most dreaded security models to see what will bring out the best. Some trial and error will be involved before you can perfect the idea. But that perfecting phase shouldn’t take forever, as someone else might overtake you otherwise. Those digital developers who I spoke of earlier, who know how to realize their ideas fast, all use the power of self-service APIs during the build mode. If you are a digital developer, you should have the power to search for the available APIs, figure out which can help you in building your vision. Add some of the components (micro-services) to your mix, test it out, see if it works, if not remove some, add some more, and keep this quick trial phase to work towards perfection. Essentially when you are building engaging digital ideas, don’t try to build end to end digital renovation project and kill your idea. Your customers can easily see through the portions of crap combined with a great idea, ultimately making the whole experiment fail. Stitch together the capabilities whether it is your own or from outside. Engaging end to end digital experience is a must for your customers to feel and live it to love it! There is a huge difference between the older app model that is built for the digital immigrants and the newer app model that is built for the digital natives. You can’t build something, instruct them where to find it, and force them to use it. In the newer model they either like it or you are history. Ideate and build with that in mind. Change your mindset. Perfect your digital innovation. Because you are a start-up with very limited funding, or you are an enterprise with big IT restrictions, it doesn’t mean you have to compromise on building world class solutions. We at IBM want to help you “Build your apps, and let you bring your ideas to life, your way.” This is where our solutions such as IBM BlueMix (@IBMBluemix) and IBM API platform (@ibmapimgt) can help. 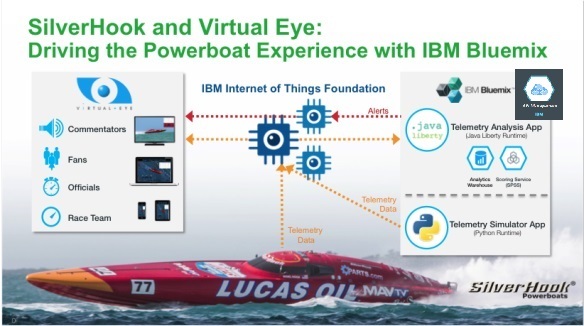 For example, SilverHook power boat racing company wanted to build an IoT application to help the racers. 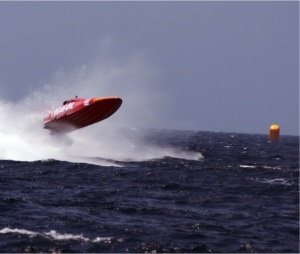 If you follow speed racing closely, you know the speed boats fly as fast as 150 mph. At that speed, like NASCAR racing, you have seconds to make decisions that make you a winner or loser (or a crasher). Not only your decisions needs to be faster but it needs to be right – ALL THE TIME. These power race boats are fitted with twin 1075 HP engines. Because of the powerful nature of the race they participate in and the salty environment the boats live in, the instruments need to be monitored closely for safety reasons – especially during a high speed race. Because of that, the boat is equipped with 70+ boat/engine related measurements that are collected at about 100 times per second. In addition, they are equipped with 4 cameras inside that will collect all the unstructured visual engine data as well. The instrumentation collects information such as fuel pressure, battery level, voltage levels, or any other anomalies that are outside the norm. When they set out to build this IoT application they chose to use IBM Bluemix platform, which provides an opportunity to have the APIs, hosted by IBM API Management platform, to be composed to create this new app quickly. An IBM IoT foundation API collects all the telemetry data from those instruments and sends the data to IBM cloud real time. IBM Analytics API analyzes all the information in a matter of seconds and uses a scoring service that decides the alerts that need to be sent back. The IBM IoT alerts API service alerts the instruments and gives back a decision, and the action you need to take, letting you concentrate on winning the race. A python simulation application on Bluemix mixed this app with other micro-services, which was hosted using the IBM API Management platform on Bluemix. An interesting fact: It took less time to build this app than to write this blog! While that may not always be the case, this is a powerful statement on how easy and fast ways are available to bring your digital ideas to life quickly, whether it is IoT, mobile app or something else. Reach out to me @AndyThurai to continue this conversation and to find out how to equip yourself for the digital innovation.